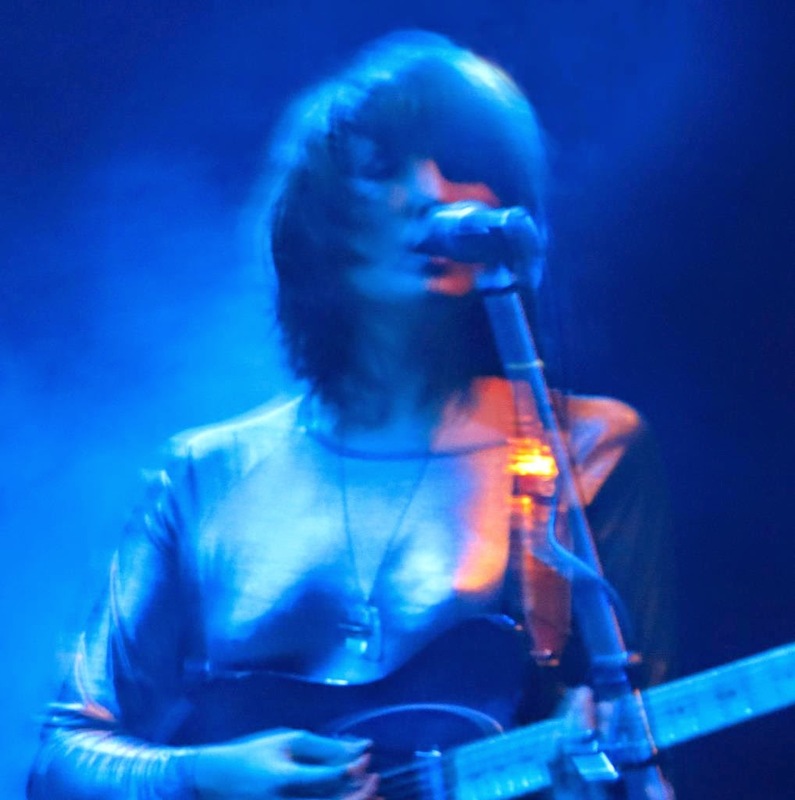 We were both knackered on Friday night and were in two minds about whether to go and see Cate Le Bon at Exeter Phoenix - However, we're glad that we did. The support act was Tender Prey (Laura Bryon, below) - all power chords and shouty vocals. On another day we might have appreciated it more - But it was ok, and she did manage to command the attention of the good-sized audience who had come to see Le Bon. 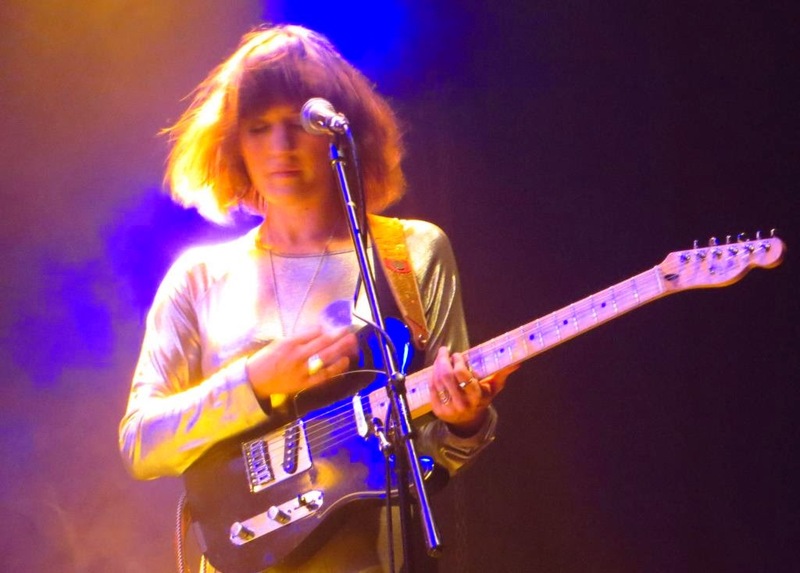 I'd heard several people praising Cate le Bon and the reviews were intriguing: A folkie who sings in Welsh and English and who numbers amongst her influences the Velvet Underground. In fact, she was a revelation. Dressed in a Hawkwind-style long silver dress she played some cool psychedelic guitar riffs while delivering vocals which were often more pure sounds than a vehicle for her lyrics. She has the stage presence and style of a Nico-like chanteuse and between the songs her accent actually sounds more Scandinavian than Welsh. The band seemed a bit younger but played together with Le Bon in a very tight unit: The drumming was crisp and the bass punchy. The second guitarist really came into his own when playing keyboards. He managed to coax the sounds of a mellotron, a farfisa, - whatever was needed - to produce appropriately psychedelic and discordant chord shapes which brilliantly complemented the guitar work by Le Bon. The audience loved it - A number were obviously longtime fans. At the end, contrary to what is often the case, we all genuinely wanted to hear more. I'll definitely be checking out her latest CD, Mug Museum. And here is a link to the set in full (for a while, anyway).